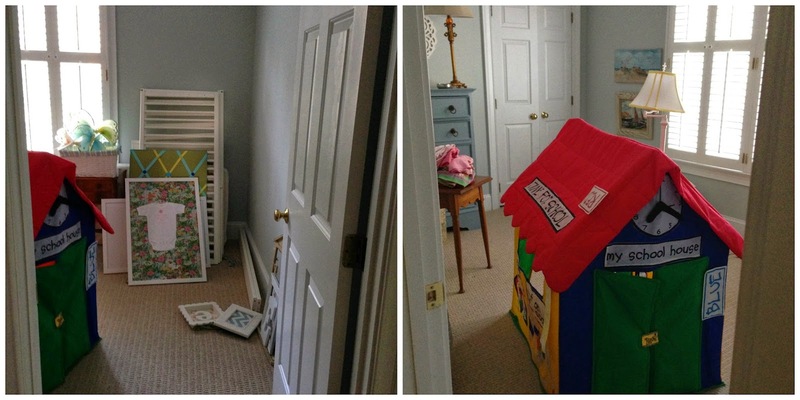 So, remember when we snagged the bed from our guest room to give to our soon to be 3 year old? Yeah, it kind of left a big fat hole in the guest room. A hole the size of a full size bed. Only a small problem, as we had guests the other weekend and no where for them to sleep. Needing at least a mattress, in a pinch, we found Tuft & Needle online and decided to give them a try. Reasonable prices, free shipping, quick turn around time and literally only two options to choose from - making a selection was easy peasy. We didn't know what to expect as the FedEx truck pulled up, but it certainly wasn't a vacuum sealed, rolled, pancake thin mattress. We definitely had our doubts. But, after we removed the shrink wrap, the mattress began to almost inflate, until it reached its full 10" thickness. And would you believe it, it's like a proper mattress, made of foam, and totally comfortable. If you ever find yourself in the need of a new mattress, definitely check these guys out, here. Of course, when we found out our guests were coming, I was quick to order a bed frame, but sadly, it didn't arrive in time. They slept on the Tuft&Needle mattress on the floor. Not my finest moment, but ultimately we'd rather have them visit with an imperfect house instead of waiting for a perfect house. When is a home ever perfect anyway? 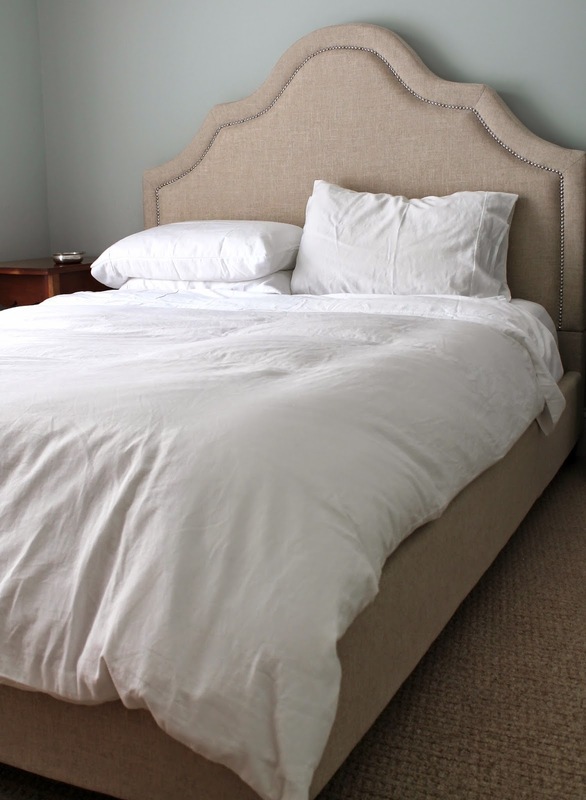 In the end we decided on this platform upholstered, curved headboard bed. Our guest room is a small room. That's just a fact. The previous owner used it as an office. We've had a lot of debates as to whether a queen size bed would actually fit. But, ultimately, we decided our guests would appreciate a bigger bed over more space in their room. Because the room is so small, we went with a platform bed - it gives the look of a complete bed frame without taking up all the space. So far we are loving it! 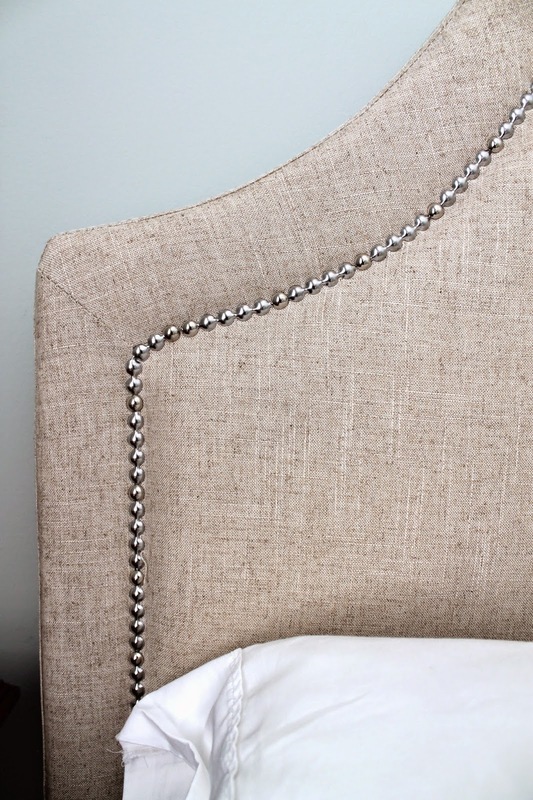 The bed seems to be very high quality, the fabric and upholstery are lovely and the nailhead trim adds a special finishing touch. Now, just to sort out the rest of the room. Our next set of guests are due to arrive in just two weeks. Tick tock.